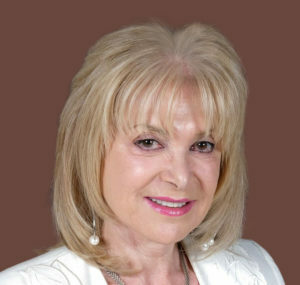 Rosalene is the founder of OptimalThinking.com and the President of The World Academy of Personal Development Inc., a Los Angeles training and optimization coaching firm. She is a distinguished expert witness in cognitive analysis, leadership development and optimization. As the leading authority in personal and business optimization, Rosalene has delivered over 2500 presentations to corporations, associations, colleges, and business groups. On an individual basis, she has provided over 30,000 hours of one-on-one coaching to numerous Fortune 500 leaders, senior executives, entrepreneurs, and rising stars. 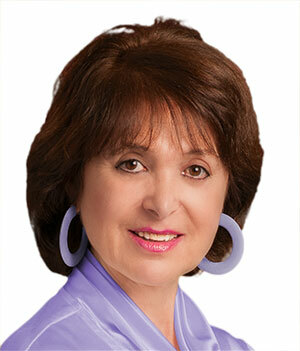 She has ranked within the top 20 global personal development experts for the past 17 years. Rosalene provides executive coaching, performance optimization training and business optimization consulting for individuals and organizations including Warner Bros., Johnson & Johnson, U.S. Army, Young Presidents’ Organization, BP, UCLA, California State University (School of Business Administration), National Australia Bank, Internal Revenue Service, Bristol-Myers Squibb, Century 21 Real Estate, Delta Airlines, Australian Institute of Management, Mensa, and Air New Zealand. She served as the Director of Professional Development for The American Society for Training & Development in Los Angeles. This Optimal Thinking woman is the recipient of the “Woman of the Year” award for National Business Women’s Week in Hollywood. She has been nominated for special recognition by Queen Elizabeth II for Australia’s highest award, The Order of Australia. Dr. Glickman is a seasoned print and electronic media veteran. She has been featured on Bloomberg TV, Fox News Channel, CBS Weekend Magazine, New York Times, Association Management Magazine, Government Executive Magazine, Inc magazine, Business Review Weekly, Australian Business Magazine, The Australian, The Age, Personal Success Magazine, Successful Selling and Managing Magazine, Woman’s World Magazine, L.A. Weekly, and the list goes on. Rosalene, who was born in Australia, lives in Los Angeles. She began her career as a high school Physics and Chemistry teacher, and became Chair of the Science Department. She has earned a Ph.D. in Psychology, a Teaching diploma and a degree in Business Administration. When I began optimal thinking coaching, I was spending long hours at the office and hardly got to see my family. Your coaching helped me gain organizational savvy and get the most important things done on time and on budget. I am now enjoying quality time with my family.